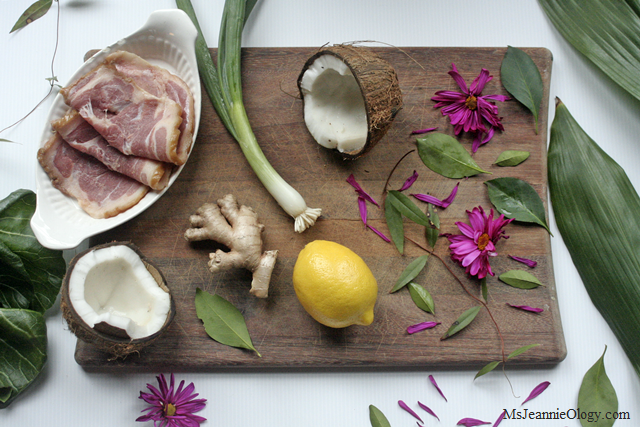 Tahiti Bound: An Exotic Adventure in the Vintage Kitchen! 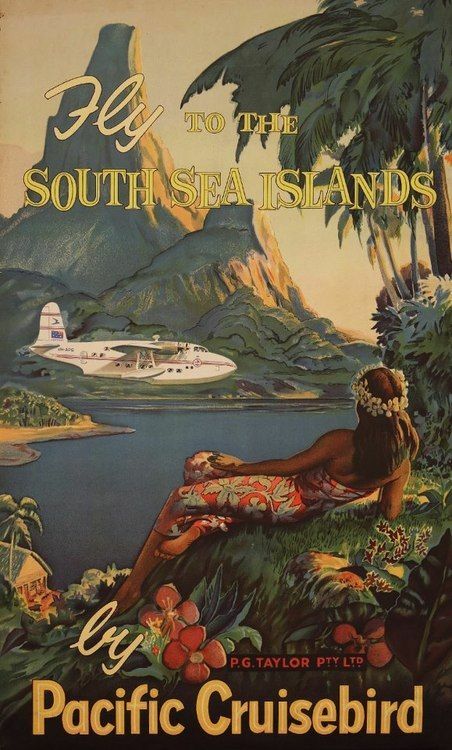 This week in the vintage kitchen we are going on an exotic adventure to the beautiful beachy, balmy enclave of Papeete in the French Polynesian island of Tahiti. The weather in Ms. Jeannie’s world as of recent has been crazy. She’s seen it all – frost, snow, heat, humidity, rain, strong winds, fog, sleet, hail and tornado warnings all just within the past 14 days. And while the air and temperatures of the past few weeks have been very unsettled, Ms. Jeannie is excited because all of this wacky end of winter weather means that sunny Spring will be here very very soon! While she waits for Mother Nature to get her schedule sorted out, Ms. Jeannie has been day dreaming of tropical island breezes thanks to the help of Mr. Victor Bergeron and his 1968 Pacific Island Cookbook. If you are unfamiliar with Victor’s full name, you might know him by his more casual moniker, Trader Vic, the king of 20th century hospitality. 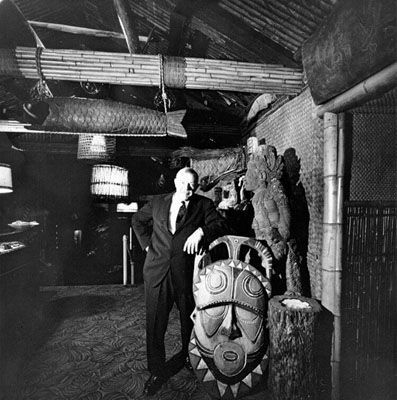 A world-wide traveler and an enigmatic restaurateur Victor founded the world’s first highly successful string of polynesian themed restaurants. 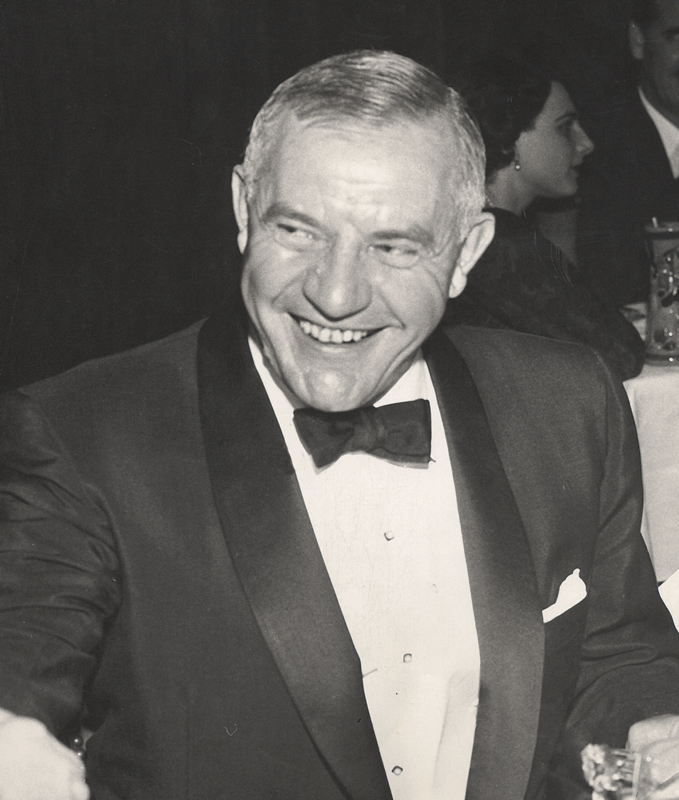 Victor Bergeron (1903-1984) the founder of Trader Vic’s restaurant chain. 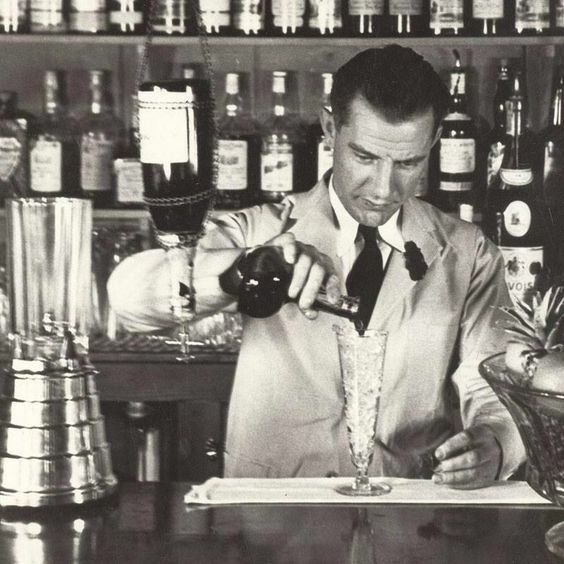 First opened in the 1950’s in California, the still growing Trader Vic’s restaurant brand was a re-invention of Bergeron’s first attempt in the food industry with his humble lodge-style eatery and bar called Hinky Dink’s which he opened in 1934. Victor smiles for a photoshoot in a 1951 issue of Holiday magazine. Learning the ropes in the food industry taught him a lot those first twenty years, so by the time Trader Vic’s (the restaurant) launched, Victor was a skilled businessman with a big flair for entertaining and fine tuned instincts as to what people wanted in a dining experience. As a lover of Cantonese style cooking, Bergeron married exceptional story telling, authentic exotic antique decorations and traditional South Seas recipes with a festive dining atmosphere to create a unique brand of restaurant chemistry that appealed to the adventure seeker and jet-setter of mid-century America. It was the rise of all things terrifically tiki! Victor’s travel experiences are all colorfully detailed in his cookbook making it a sort of fun travel journal and kitchen cooking primer in one. And then there are the drinks! In addition to cooking Victor was also a mixologist creating a slew of enticing cocktails, like the first Mai Tai, which launched a wave of tropical drink requests for bartenders from then on out. Escapism never tasted so sweet! 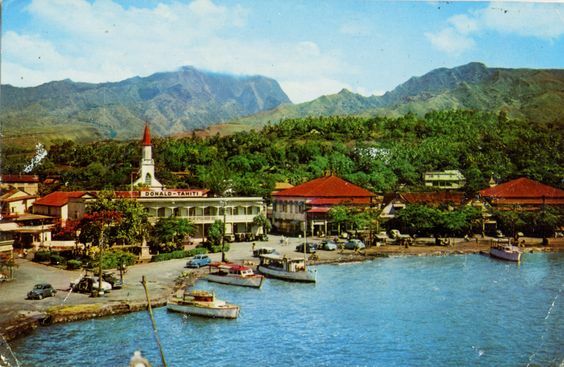 Vintage Tahitian postcard of Papeete. Cheers to Victor! It’s Pote on the menu tonight served alongside steamed rice and chicken sauced with coconut ginger. Saute salt pork until brown in large skillet. Add chicken, chard and green onion. Stir in chicken stock, seasonings and lemon juice. Simmer until chard is tender. Add coconut milk bring to a boil but just barely. Thicken with cornstarch, stirring constantly, adding just enough to thicken the mixture. Serve immediately or keep warm over low heat until chicken and rice are ready. Cut chicken in pieces. Do not remove the skin. Place chicken, flour and salt and paper in a paper bag and shake until all chicken pieces are well-coated. Heat the oil in a large pan on the stovetop and then saute the chicken, turning only once, until thoroughly cooked on each side (internal temperature should be 180). Remove chicken from heat and place in oven proof dish. In a separate bowl mix together coconut milk and ginger. 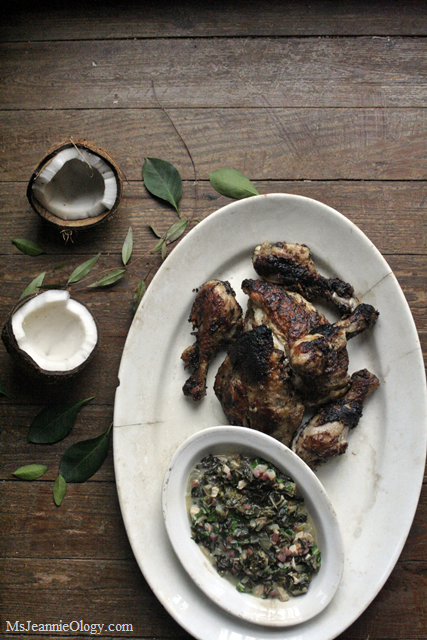 Pour over chicken and place dish in the oven for 5 minutes until the coconut sauce melts. Serve alongside Pota and steamed rice and a fun fruity cocktail! Perhaps a homemade Mai Tai or two in Victor’s honor. He’d be as pleased as (rum) punch! This is a surefire recipe to chase away those end of winter blues. Satisfying for the spirit and for the belly! 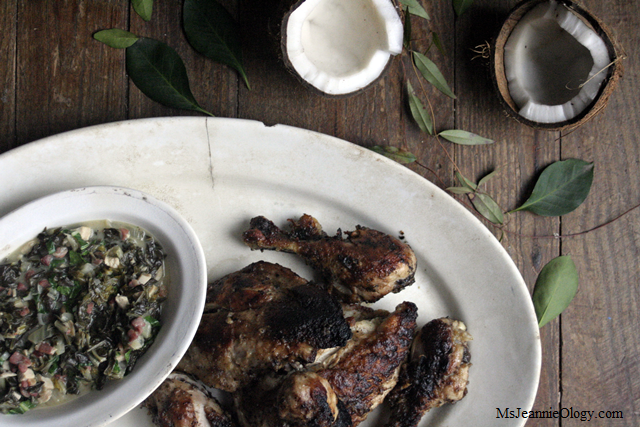 Find more Trader Vic recipes here. And more tropical cookbooks here. Manuia! Next Save the Monarch: Plant a Milkweed!